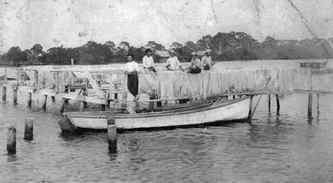 Net Spreads were walkways (docks) over the water, with racks built especially to spread a net for drying. 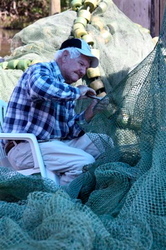 They varied in size according to type of net. 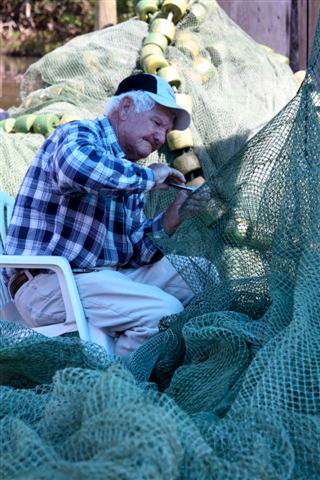 Fishermen also mended their nets on them. 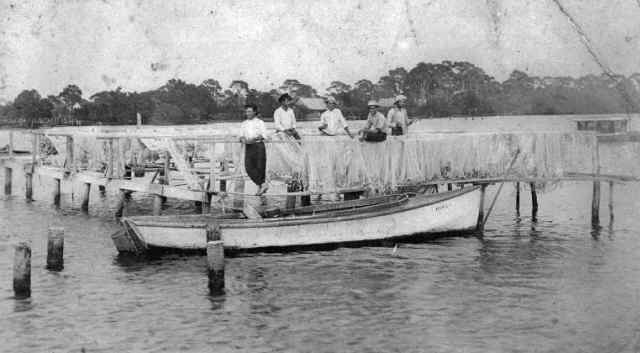 Net Camps were small houses or shelters used to store nets that were not currently needed (usually seasonal) and also were used as temporary housing for fishing crews. 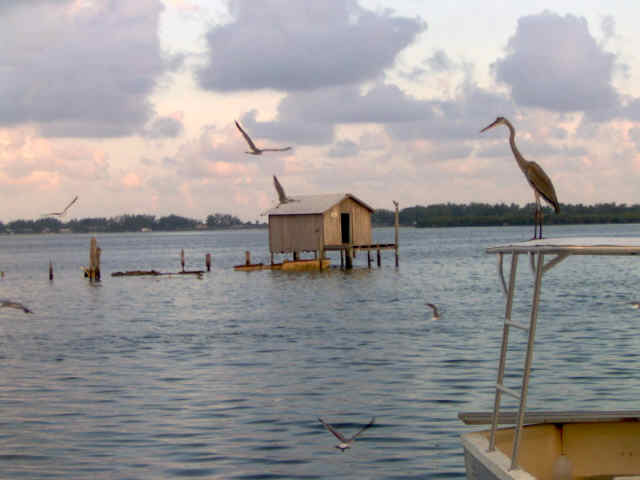 Some of Cortez's early Fish Houses got their start as Net Camps. They were easily accessible and on the waterfront. The Marvin Culbreath home on 123rd Street West started as a net camp on the shore and was moved with roller logs to its present location. Other Cortez homes may have also started from net camps. 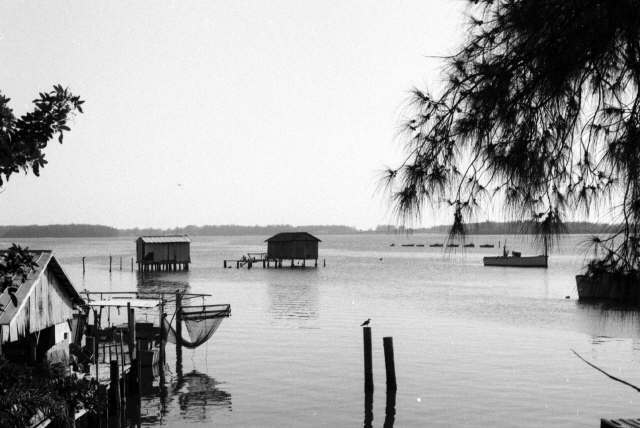 Throughout the early years and into the 1960's, the spreads and camps dotted the Cortez shoreline, and "across the slough", where the Curtis Johns Net Camp still remains. Some of the camps were known by the owners/users name, such as "Kurt's" and "Tater's". 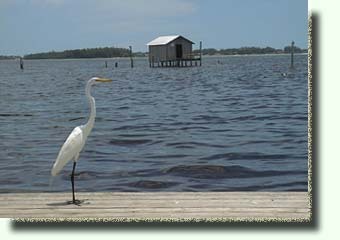 Tater, was Albert "Tater" Few, whose Net Camp was at the shoreline of the public dock we now call the "Miller Dock". 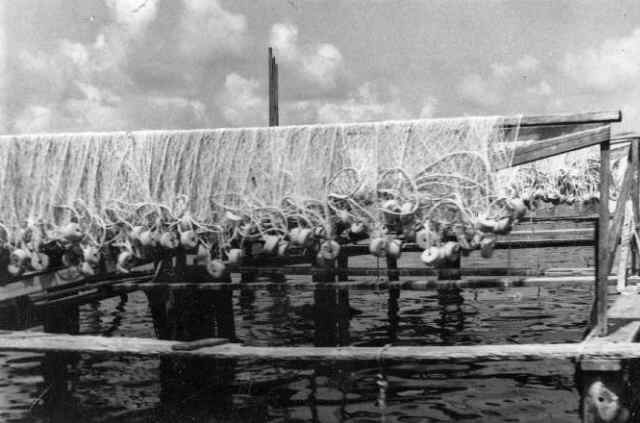 Tater had his net spreads in the area where the Miller Dock now stands. 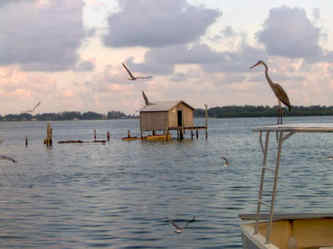 Throughout the 1930's, 40's, and 50's, it was quite common to see artist's painting the picturesque Cortez Shoreline. They disappeared along with the net camps and spreads sometime during the 1960's. Cotton nets were replaced by monofiliment nets that didn't need the daily care.